Start with Carol’s Cookies Peanut Butter Chocolate Combo Cookie (you can also combine several flavors together to make a unique mixture). You will need approximately six to eight 6-ounce cookies. Make sure the cookies are at room temperature, and break them up into little pieces. Add one stick of pure butter to the mixture of broken up cookies by massaging it in with your hands. Line a cookie sheet with wax paper with the waxed side facing up. Using a rolling pin, roll out the mixture of cookie pieces until it becomes a flat sheet of crust. Spray a round pie pan with cooking spray. Take the sheet of cookie pieces and transfer it into the pie pan. 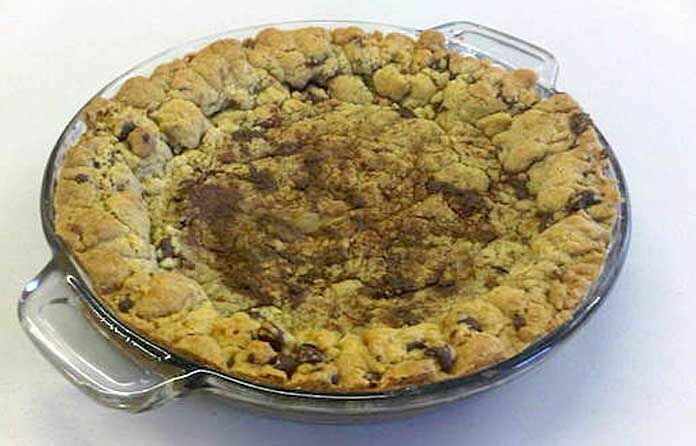 Fill the cookie pie crust with your favorite frozen yogurt or ice cream flavor(s).